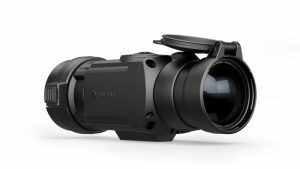 Pulsar remains at the top of their thermal Monocular by introducing firearm enthusiasts to the advanced Pulsar Helion XQ28F 2.3-9.2×20 Thermal Monocular. It is not just your everyday thermal, but one that will make a difference in the field. 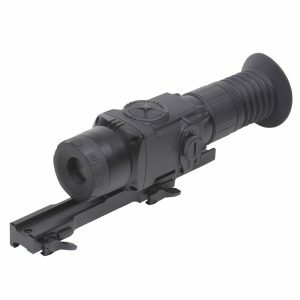 It will improve your shooting accuracy and precision. 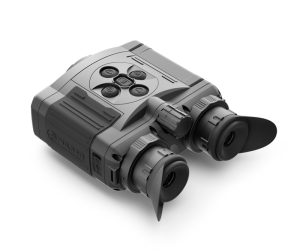 It consists of a variety of features, from high resolution image definition, magnification up to 12.4x, and built-in video and audio recording. 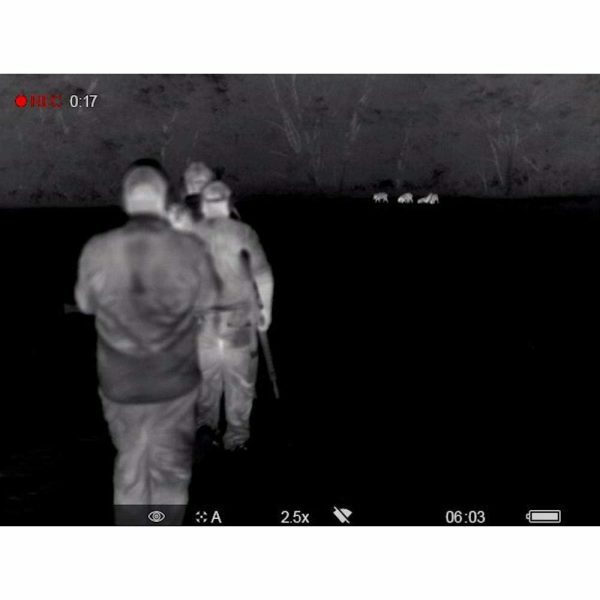 Download Stream Vision, an app from your smartphone’s store, to control the thermal and receive footage in real time. Your thermal monicular is durable choice and holds an IPX7 waterproof rating. 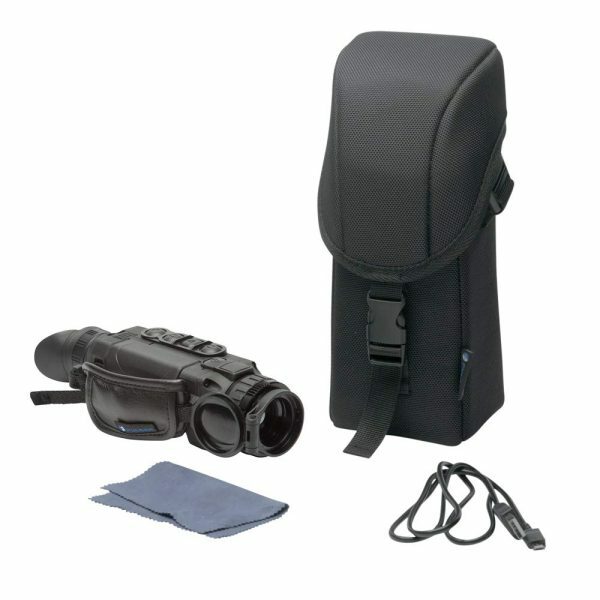 You can operate your monocular in wet, rainy, and snowy weather. Its battery will not drain quickly due to its rechargeable battery and display off mode. Its user-friendly design and features makes it easy to use. You receive a manual with it to help you learn about the different features and how to use them for aiming and taking down your target in one clean shot. 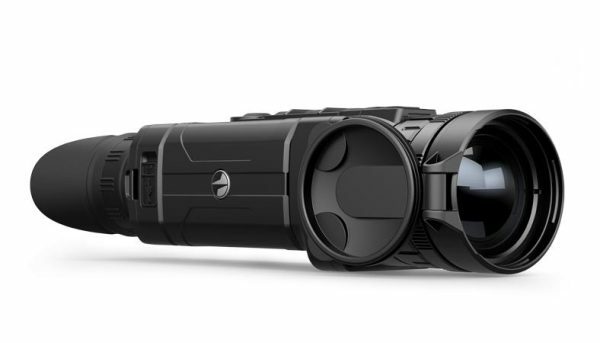 This thermal monocular, built for comfort, is an ideal option for hunters and law enforcement officials. 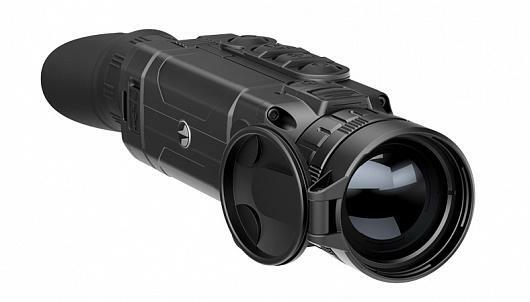 If you are searching for a premium quality thermal, go for the Pulsar Helion XQ28F 2.3-9.2×20 Thermal Monocular.